Complete engineering support and onsite installation! 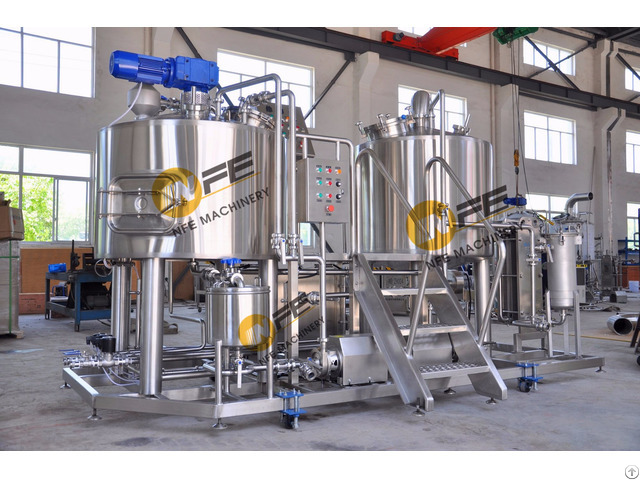 Business Description: NFE Machinery Co., ltd is a top professional designer and manufacturer of high-quality complete craft beer brewing equipments and packaging line in China with the excellent service, and affordability. Since 2000,our company is established and started to design and make the excellent microbrewery solution and vessels in the American and European market. We always supplies one complete service to create the best value with an affordable cost for each customer. NFE team will design your brewery, starting with business plans, custom equipment that fits your needs, CAD for tanks,facility layout and piping,installation on site. Selling equipments is not the Purpose of NFE, our Real purpose is to help you set up the brewery and we grow together! A hi-tech joint venture enterprise with multi-functions including research and design, development and manufacture, management and marketing as well as technique consult and service.